Ski resort closed today in light of tensions in the north, to reopen tomorrow. 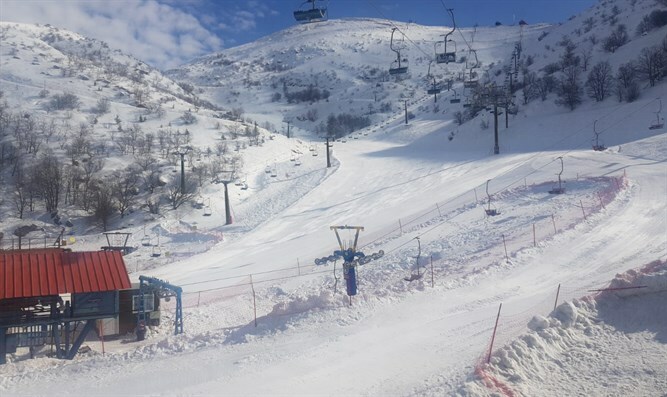 The Hermon ski resort will open tomorrow for visitors and skiers after receiving approval from the IDF, the site's management said in a statement. The site was closed today to visitors in the light of tension in the north, after the attack on Iranian targets overnight in Syrian territory. "The weather is perfect, the snow is plentiful, and the mood is good, and the public is invited to strengthen the Hermon, the Golan and the Galilee with its presence. We're back to normal!" the management stated.